The Fruit Horticulture program at Mount Vernon was funded between 1965 and 2009 and had two primary research missions: Variety evaluation and cultural management in tree fruit production. The results of our work continue to be made available to the public on the internet. Tree fruit and alternative fruits work at the WSU-Mount Vernon Research Center currently focuses on cider apples, cider, and cherries. The Tree Fruit Horticulture program at Mount Vernon started under Dr. Bob Norton in 1965 when he began to conduct variety evaluations for tree fruit in addition to his work with berries. Dr. Norton continues to educate privately on subjects related to maritime Northwest fruit horticulture. The original Tree Fruit Horticulture website was started in 1999, and included reports, bloom data, pest references, FAQ material, links to fruit organizations etc. that was available electronically at that time. In 2009 the Western Washington Fruit Research Foundation (WWFRF) contributed funds and volunteer time to scan some archived material going back to 1991that previously had been available only as hard copy reports. We added these scanned documents to the website. 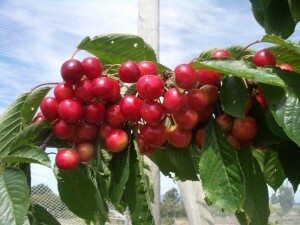 We hope you find your visit to the Western Washington Tree Fruit & Alternative Fruits website to be fruitful. Our pages provide links to external sites for the convenience of users. WSU Extension does not manage these external sites, nor does Extension review, control, or take responsibility for the content of these sites. These external sites do not implicitly or explicitly represent official positions and policies of WSU Extension. 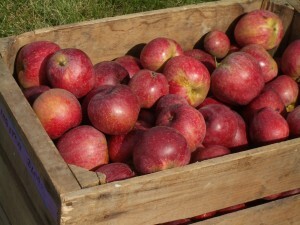 Kingston Black, a popular English bittersharp cider apple, makes a balanced single-varietal cider. White Gold, recently introduced from Cornell, is a self-fertile cherry variety that needs no pollinator. 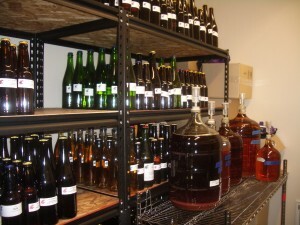 The cider room at Mount Vernon contains cider being fermented and samples for ongoing evaluation. 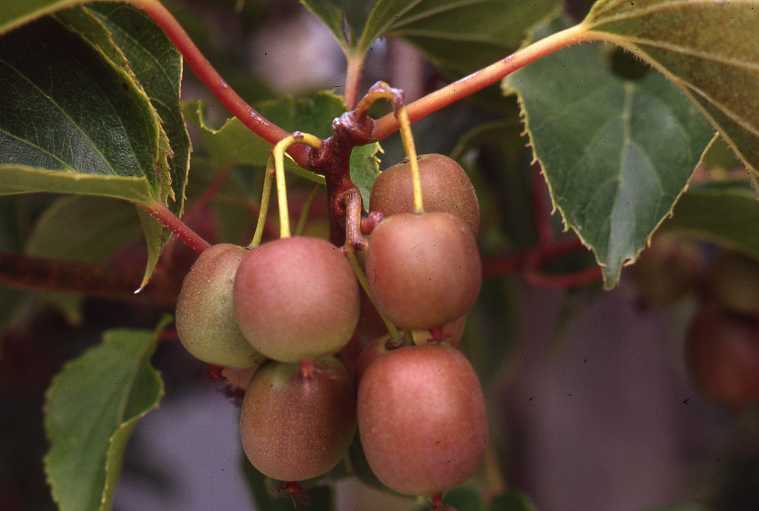 Hardy Kiwis (Actinidia arguta) are well suited to the Puget Sound region and very productive.